Our team wants to wish you and your family a Merry Christmas and a Happy New Year! Below are our holiday hours. Emergency calls will be returned as soon as possible. We have great gifts that will make anyone on your list smile! This system can only be purchased from dental professionals. 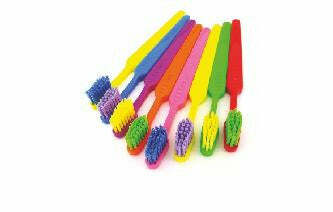 We recommend this for all of our patients as it cleans significantly better than a manual toothbrush. Safe and effective whitening trays designed to fit your teeth with professional results. A stronger version of over the counter whitening strips and a great option for sensitive teeth. Contact us today to purchase one of these gifts! 1. Eat Teeth-Healthy Foods such as crunchy fruits and veggies (carrots are a particularly great choice), whole grains and plenty of refreshing water. Your teeth will thank you, and so will your wallet! The Daily Mail (4/27, Johnston) reports that, "some of the most popular health foods," may negatively affect dental health. The acid content in green smoothies, for example, may damage enamel, while nutrient-rich beetroot may contribute to teeth staining. The article provides several "tooth-friendly" alternatives, recommending whole fruits and vegetables, nuts in moderation, and cheese. Meanwhile, a second article in Daily Mail (4/27) states, "People make a number of simple mistakes," that can harm teeth, such as chewing ice cubes, eating dried fruits, using a toothbrush with hard bristles, using teeth as tools, and having tongue and lip piercings. In a list of seven, "easy cleaning tricks," Buzzfeed (5/2) recommends replacing toothbrushes every three to four months. Mentioning that soaking a toothbrush in an antibacterial mouth rinse overnight may be an option for cleaning a toothbrush before it is time to replace it, the article notes the American Dental Association states that there is no clinical evidence this approach has a positive or negative effect on oral health. The ADA provides additional information on toothbrush care online. Consumer Reports (4/28) reports on the treatment and prevention of tension headaches, a type of headache, "up to 80 percent of people suffer from," on occasion. The article recommends first trying home remedies to relieve the headache pain, such as drinking extra water, taking an over-the-counter pain reliever, and resting. If these methods are unsuccessful, the article recommends consulting with a physician and dentist to determine if there's an underlying cause. "Jaw clenching and teeth grinding in your sleep, for example can trigger a tension headache," states Consumer Reports, adding, "If you suspect your bite is to blame, see your dentist." Mouthhealthy.org provides additional information on teeth grinding and jaw pain. The Chicago Tribune (5/10) stated that patients at the Chicago Dental Society Foundation Clinic who experience stress and anxiety have access to a certified therapy dog. The canine, "has been trained to sense these negative emotions and to offer a gentle nudge of her head against a patient's hand or simply her quiet and calm presence." According to the article, "The response of patients has been overwhelmingly positive." 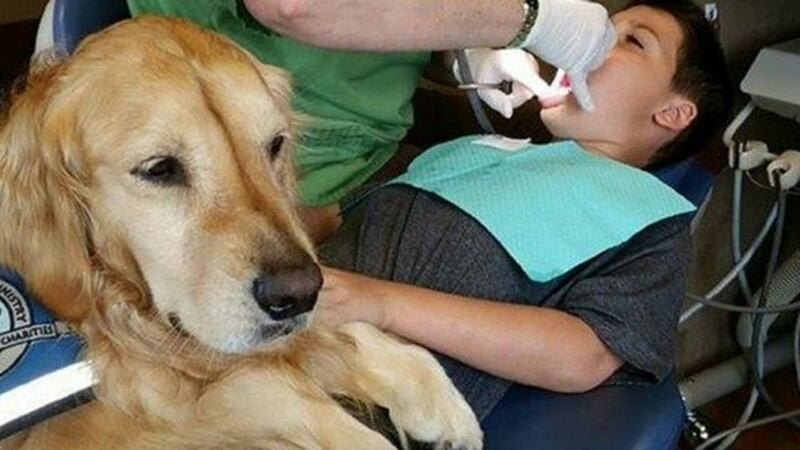 WFMJ_TV Youngstown, OH (5/10, Keller) reported on its website and during a broadcast that a dental office in Hermitage, Pennsylvania also uses a, "hypoallergenic, certified therapy dog," to provide comfort to patients of all ages with dental anxiety. Mouthhealthy.org provides additional information on dental anxiety. We are happy to have Emma back from maternity leave. Sophie is doing well and growing like a weed! Here is a sweet smile to brighten your day!